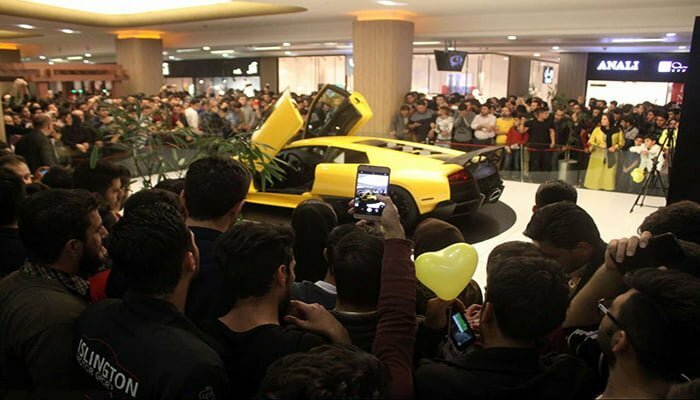 A Lamborghini Murciélago designed and built by Iranian car designer Massoud Moradi, unveiled on October 13, 2018, in Tabriz. 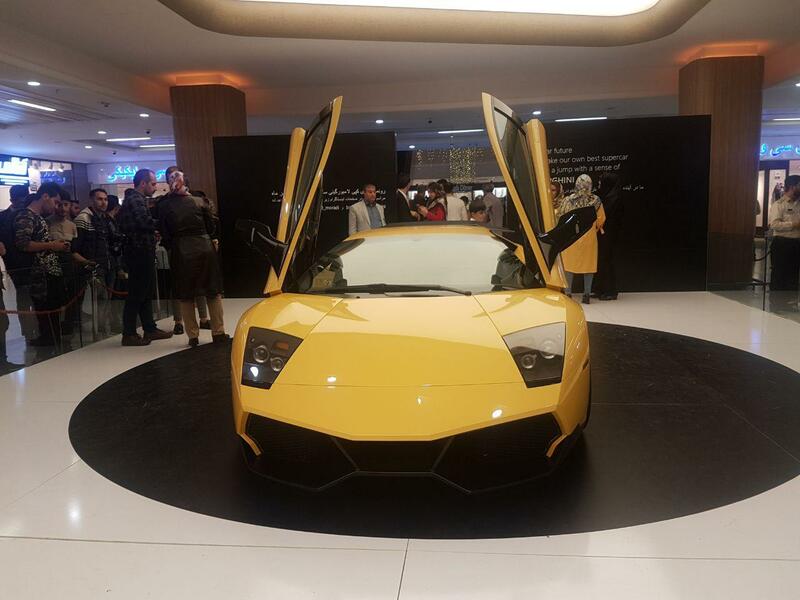 A talented Iranian youth has managed to design and build a high-quality version of Lamborghini Murciélago in the northwestern city of Tabriz. 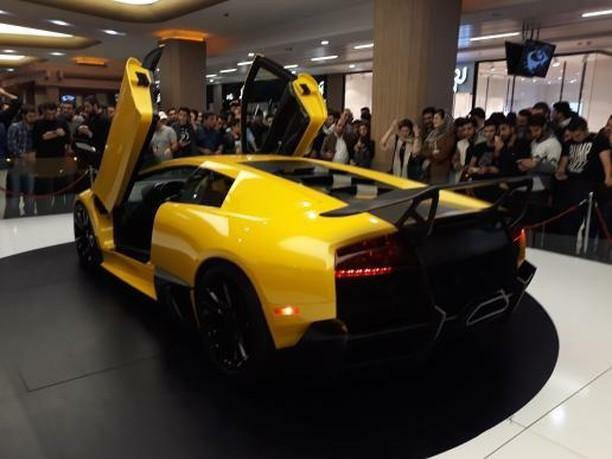 Massoud Moradi unveiled his Lamborghini Murciélago on Saturday. Although the appearance of the car is similar to the original, its engine has been made built based on the Korean technology. Q: When did you start designing this car and how much did it cost? A: We started this project about four years ago, and we spent a lot of time on doing research. A fairly large amount of money was spent on the production, but since we wanted to commercialise it, I’d rather not disclose the final cost. Q: To what extent are the dimensions and size of your car similar to the Lamborghini Murciélago? A: The size and dimensions of the car are exactly the same as the original one, so is the size of the parts, the body frame and the car’s details. For example, at the beginning of the project, we thought we would not be able to build a windshield, so we had to buy an original windshield from a European company that supplies the Lamborghini stock parts. In fact, one of our concerns was that the designed model would not be in harmony with the original windshield. So after the end of the physical work, we brought the windshield to the modeling workshop, and at the time of installation we realised that there was only 2 millimetres of difference in dimensions, so we resolved it during the modeling process. At this stage, we found out how rigorous the original designing was because our designed car was a little different from the original one. In fact, it can be said that the differences are very small and only specialists and designers of the car can recognise them. Q: How did you design the car? A: The design of this vehicle is computer-based and the data code is prepared based on the same model which is checked out at each stage of the data coding. By the end of the modelling, the finishing process was started, during which we made the body charming. Moulded parts were re-manufactured and sent to the assembling hall. We built the chassis based on the original Murciélago platform and according to the data we received. The original windshield fractured during the transport process and we had to mould and produce it again. 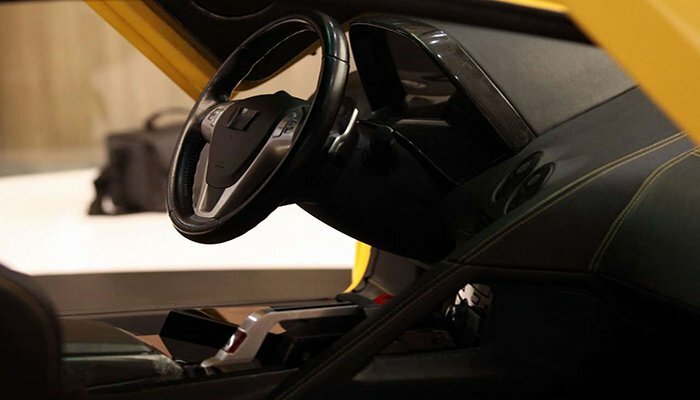 Thus, the only part provided by Lamborghini was removed from the car. Q: Of course, it has not been easy to access the platform, so what platform and chassis did you use for this car? A: We were lucky that in the process of construction we could receive the car’s data code. Based on this, we did not spend any time planning or testing the car. By checking the chassis with the body and fixing it with the body fittings, we began to build a chassis and platform, which is exactly the same as the platform and chassis of the original version of Murciélago. Q: You earlier mentioned that a Hyundai engine and a German gearbox were used on the vehicle. Why didn’t you use the Lamborghini engine and gearbox? A: We used a 3.8-litre six-cylinder engine on this car. The gearbox was also suitable for this engine. We also used electronic components and options of Hyundai. One of the main concerns about super sport vehicles is the place where a car should go for repairs and services. Lamborghini is a brand that does not have any offices in our country. So we designed a car that has the appearance of a Lamborghini, but based on its technical specifications, you can easily go to repair shops in the country and fix it. In fact, you can drive a Lamborghini, whose maintenance costs are the same as imported cars, and it does not incur extra costs for the owner. Q: Is the engine and gearbox capable of generating the power needed for such a car? A: Of course, the acceleration and speed of the car will not be as much as that of Murciélago, but its power is high enough to be considered as a fast-moving car. In the future, if the vehicle is manufactured, we will install different engines on it. I should also point out that it is designed to be powered by a 12-cylinder engine. As a result, in the next models we will be able to use 8 and 10 cylinders on the vehicle. 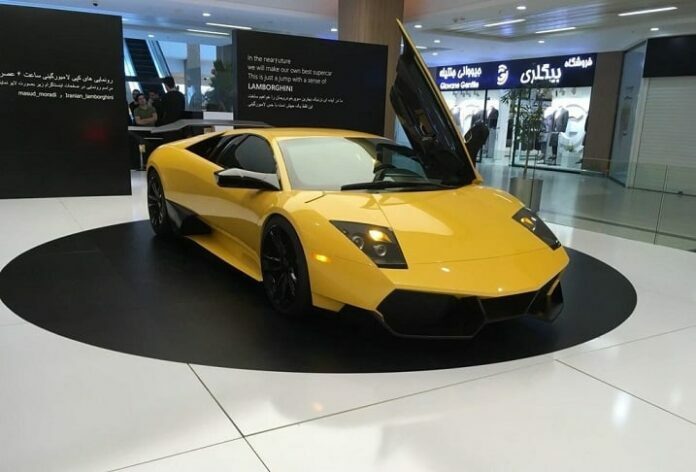 Q: In the photos released of the car, the exterior design and details of the car are exactly the same as the Murciélago. Is the interior design the same as the original one as well? A: We designed all the parts inside the car like the outer parts. Everything was designed and then modelled based on the original design. After that, we went through the moulding, parts production, and assembling stages. Then, we sent them to the interior designing section. For example, the leather used in this car meets the standards, and all car lights are designed and manufactured based on the original model. None of the vehicle parts has been purchased from Lamborghini. In fact, decorative pieces are all designed and manufactured inside Iran. Q: If you’d decide to manufacture it, how many can you produce each year? A: The annual production of this car depends on investment on this project. If the investment is appropriate, we can produce 50 to 100 ones each year. Q: Is the suspension, steering and the vehicle’s handling the same as the original one? Have you tested the car so far? A: It’s definitely not possible to compare the handling of this car with the original version, but the point that our test driver mentioned after the road test was the proper handling of the car on the road. In fact, the car is under the control of driver and its safety is perfect. Due to lack of proper infrastructure, the speed test is not done on this car, but it can be said that with regards to the engine and gearbox used in this car and its heavy body it can easily reach 280 km/h. However, given its lightness, we expect it to have more power. Q: What kinds of alloys are used in the body, and how the moulds are produced for the production of body parts? A: The body is made of composite material. The parts have passed the thermal cycle tests and retrofitted. The team in charge of producing the parts had earlier been sent to France by a car company to increase their knowledge of producing the parts. Therefore, we produced the parts based on the same knowledge. Carbon fibre has been used to make the body parts, but it has a lot of difference with other commercially available carbon fibres. This material is used in the engine, rear fins and the bases. Q: What were the problems at the time of designing? A: During the designing process, we had to study the details in order to know how parts were made and assembled. There were also problems with wood modelling and prototype moulding. For example, creating a constant temperature in the assembling workshop was a serious challenge for us. If the temperature was not steady, the length of the car or parts could change, and that could result in problems in the assembling process. Q: If the domestic automotive companies ask you to co-operate with them, do you want to work with them? A: Domestic automakers’ mission is to solve the problem of the community in terms of transportation, so they try to produce cars that all people can buy. Never has their mission been to produce sports cars or super sport ones, so I’m doubtful we could work together in this area.